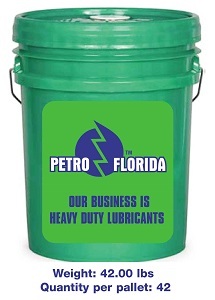 PETROFLO HEAVY DUTY 15W-40 Synthetic Blend Diesel Engine Oil, is a premium quality, high performance, fleet engine oil designed for use in on-highway diesel trucks and off-highway diesel equipment, as well as in passenger cars and light trucks with either diesel or gasoline engines. 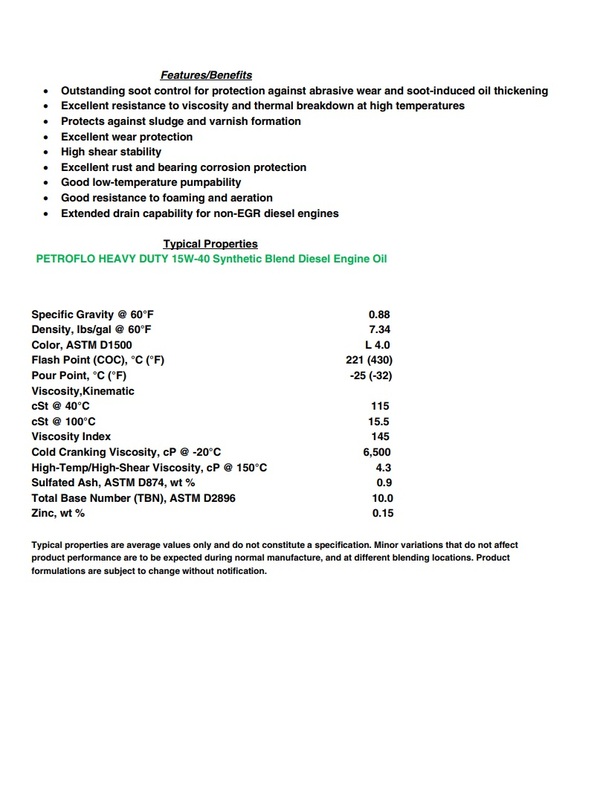 It is recommended for use both in EGR-equipped diesel engines and in older, non-EGR diesel engines. It also will provide excellent protection for gasoline engines for use in mixed commercial fleets. 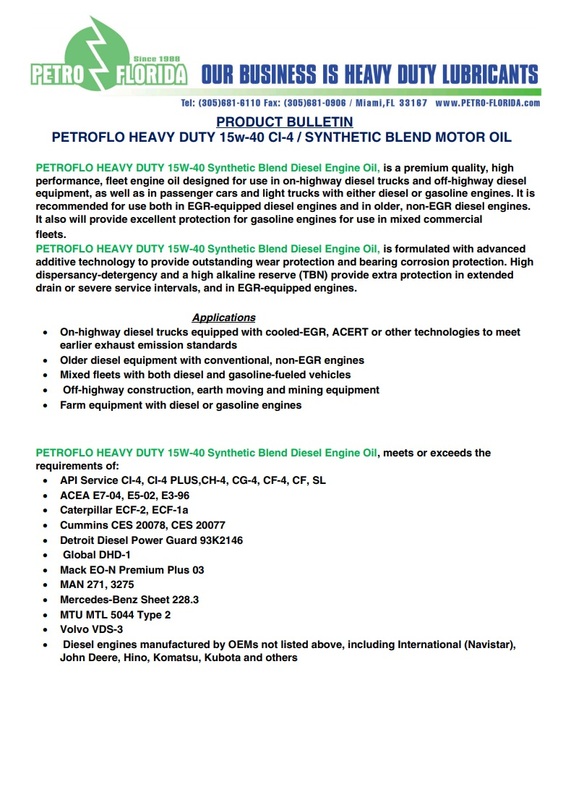 PETROFLO HEAVY DUTY 15W-40 Synthetic Blend Diesel Engine Oil, is formulated with advanced additive technology to provide outstanding wear protection and bearing corrosion protection. High dispersancy-detergency and a high alkaline reserve (TBN) provide extra protection in extended drain or severe service intervals, and in EGR-equipped engines. On-highway diesel trucks equipped with cooled-EGR, ACERT or other technologies to meet earlier exhaust emission standards. Older diesel equipment with conventional, non-EGR engines. Mixed fleets with both diesel and gasoline-fueled vehicles. Off-highway construction, earth moving and mining equipment. Farm equipment with diesel or gasoline engines. API Service CI-4, CI-4 PLUS,CH-4, CG-4, CF-4, CF, SL. Cummins CES 20078, CES 20077. Detroit Diesel Power Guard 93K2146. MTU MTL 5044 Type 2. Diesel engines manufactured by OEMs not listed above, including International (Navistar), John Deere, Hino, Komatsu, Kubota and others. Outstanding soot control for protection against abrasive wear and soot-induced oil thickening. Excellent resistance to viscosity and thermal breakdown at high temperatures. Protects against sludge and varnish formation. Excellent rust and bearing corrosion protection. Good resistance to foaming and aeration. Extended drain capability for non-EGR diesel engines.